We offer multiple photo entertainment options providing fun, memorable take-home prints from any indoor event. All services include appropriate props and onsite printing of 4x6 photos. You can customize photo entertainment services with upsized 5x7 prints, branded paper folios for both 4x6 or 5x7 prints or the addition of logos to your graphics to enhance branding. 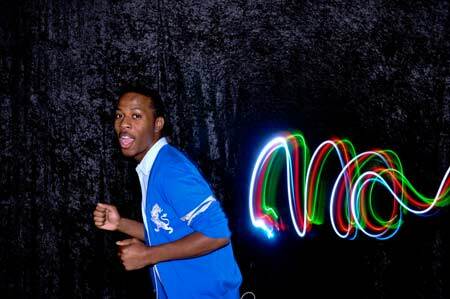 Light Graffiti is a unique, creative way to engage your guests and provides a truly unique take-home. The service includes set up of a 10x10 black tent, multiple fun light options and our graffiti artists, who are also great art directors, not to mention photographers. Our photo booths are out-of-the-box and include remote camera trigger and TV proofing in our onsite photo booth. Photo booth entertainment backgrounds can be standard black, white, gray or we can customize with fabrics and add to the festivities. Photos can be upsized to 5x7 and customized to your event theme. 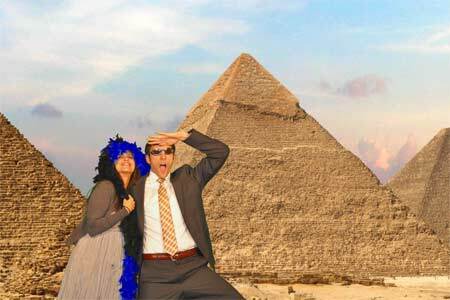 Green screen photo entertainment allows you to select up to 3 different background options on which you can superimpose onsite photos. We can add your logos to the graphics to support your corporate branding. Your graphic designers are invited to share background files, or AEP can provide a graphic designer to create backgrounds unique to your brand and your celebration. All galleries can be modified to minimize or maximize specific sharing options. Photo Entertainment Services require at least 2 AEP staff members, a 10x10 space, a standard 6-8 foot table, chairs and access to power. Our team arrives approximately 1.5 hours before shoot time to set up equipment and create test prints for client approval. Photo entertainment is booked with a 2-hour minimum on weekdays and 3-hour minimum on weekends.